I remember a story of a pastor on a long flight between church conferences. It turned out to be a very turbulent flight. To make matters worse, a violent storm broke. The ominous cracks of thunder could be heard even above the roar of the engines. Lightning lit up the darkening skies, and within moments that great plane was like a cork tossed around on a celestial ocean. One moment the airplane was lifted on terrific currents of air; the next, it dropped as if it were about to crash. Then, he suddenly saw a little girl. Apparently the storm meant nothing to her. She had tucked her feet beneath her as she sat on her seat; she was reading a book and everything within her small world was calm and orderly. Sometimes she closed her eyes, then she would read again; then she would straighten her legs, but worry and fear were not in her world. When the plane was being buffeted by the terrible storm when it lurched this way and that, as it rose and fell with frightening severity, when all the adults were scared half to death, that marvelous child was completely composed and unafraid. The minister could hardly believe his eyes. When Jesus’ disciples were alone on a boat one stormy night, they too were afraid, especially when they saw something or someone who they thought was a ghost. However, when Jesus informed them that it was Him, He also told them not to be afraid. Just to make sure, Peter asked Jesus to let him come to Him by walking on water and walk on water he did! As Christians, we still encounter a lot of storms in life in form of financial, relational and physical problems. God, however, did not promise us a storm-free life but a storm-proof life. 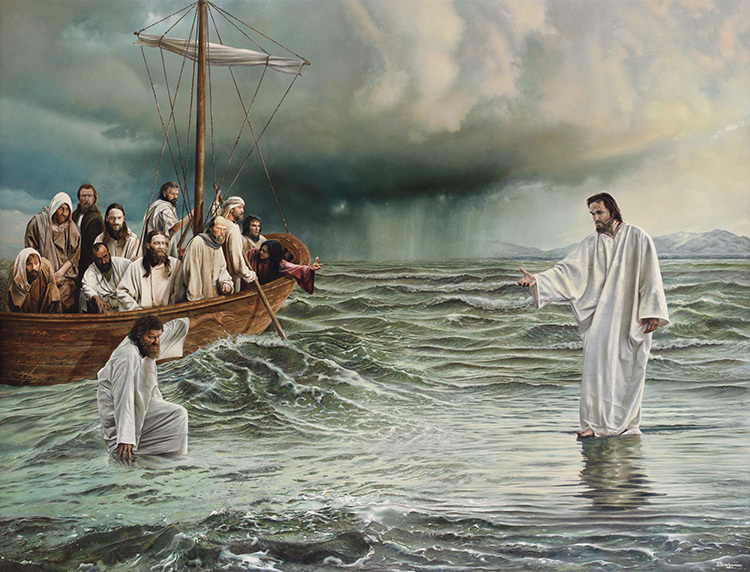 Just like the apostle Peter, if we focus our attention on Jesus, we will be able to walk on water regardless of the storms that that hit us.